Andy Partridge is one of the great storytellers of pop, English or otherwise. As with Ray Davies before him, the narrative technique took a while to appear in his work, but – stung into action as a result of the success of Colin Moulding’s ‘Making plans for Nigel’ – by the time of Black Sea it was beginning to show in earnest in the form of songs like ‘Towers of London’ and ‘Respectable Street’. After that there was no stopping him. Think of the Under Milk Wood-esque ‘The everyday story of Smalltown’, in which Andy plays the roles of both Dylan Thomas and Richard Burton, detailing lives in a town not unlike the Swindon in which he still lives. But before that, there was ‘Love on a farmboy’s wages’. The song is beguiling in its simplicity, and the instrumentation perfectly chosen to flesh out the pastoral picture. Drawn in by it, the listener empathises with – perhaps would even like to be – the farmboy or his girl, despite their struggle to make ends meet, to earn money enough to marry. The beauty of a story song with a just-so amount of detail is that you can extend outward from it, imagining – for example – the girl sitting on a five bar gate, the kind of five bar gate the tall and muscular boy might easily swing himself over were it not for the fact that she is atop of it. But there she is waiting for him, as he strides home across the fields where he has been wild-oating, or burning the stubble after harvest. He knows how her skin will smell – warm-ripe from the sun, with a damp earth scent at the nape of her neck. Her tongue will be apple-sweet and greedy. All this is in the song, and not in it. Perhaps the song means as much to me as it does because at the time that ‘Love on a farmboy’s wages’ was released, and for several summers, winters and springs afterwards, I really was a farmboy, trying to earn enough to pay my way. Also, I had a girl who waited for me atop a five bar gate, though we did not go on to marry. But that is not to diminish the inventive songwriting craft which make this one of my very favourite 45s. Hugely chuffed and honoured to discover that a piece I wrote for Tangents a long, long time ago (1999! The prehistoric days of the Interweb!) has been used on the freshly launched website for Michael Head to tell in part his story. Along with his brother John, Mick Head recorded The magical world of the Strands, my Desert Island Disc. So that big an honour. Even more exciting than this though is the raison d’être for the new website – finally, a new record. Well, a release date at least for the Artorius revisited EP by Michael Head & The Red Elastic Band. I’ve been waiting for this since around about the time I posted ‘Full moon’ way back in 2009. This year has also seen Mick back performing live, with his Elastic Band, and on the new website you can see evidence of this in the form of a video of ‘Meant to be’ from the Night and Day café in Manchester. The rest of that night’s set is available here. Sadly no ‘Full moon’ but the new songs make me think there’s plenty of life left in the old dog yet. 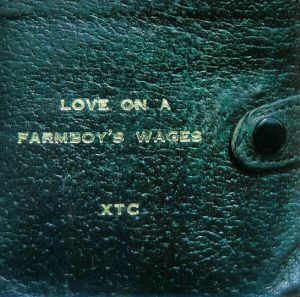 And Mick’s wearing an English settlement-era XTC t-shirt, making explicit a link I always felt in my bones, although thinking of ‘Love on a farmboy’s wages’, maybe it’s Mummer rather than that earlier LP which is the closest tie. Geoff King’s introductory piece for the new website, above mine, is well worth reading. He reveals that ‘for The Strands album, Michael composed the songs after studiously spending day after day in Liverpool library reading renaissance and baroque era madrigals.’ I never knew that, but of course it figures, thinking of ‘Queen Matilda’, ‘And Luna’, ‘Hocken’s Hey’, ‘Green velvet jacket’, and the sheer timeless beauty of ‘Something like you’. After every album, I always think we’ve heard the last of Michael Head, and I count myself grateful for what we have. And yet he keeps getting back up for one more go around the block. One more round in the ring. Long may he continue to do so. 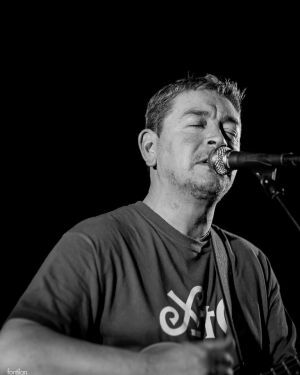 Photo of Mick Head, Liverpool, December 2012 by Fontilan. 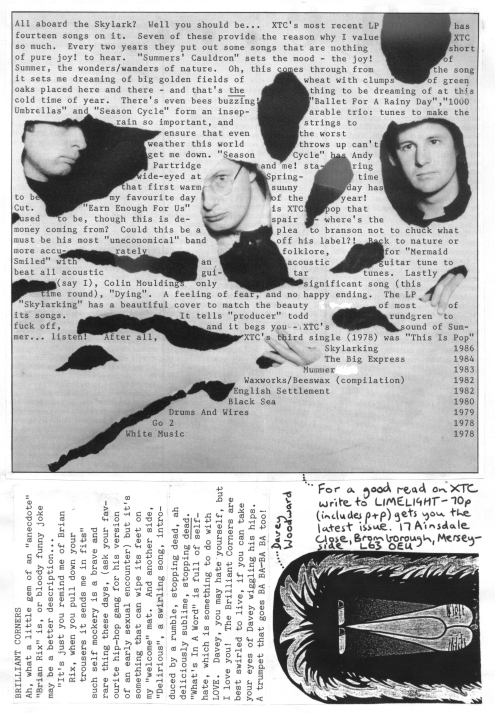 XTC managed to interpolate themselves among the indie-popsters in the pages of my second fanzine. But I was extremely harsh on (a) Colin Moulding – why I didn’t have time for ‘Grass’ back then is a mystery to me now; (b) Todd Rundgren, whose music a friend subsequently converted me to with a tape entitled ‘Todd is God’, and who – though his interpersonal skills were evidently lacking – can hardly be blamed for wanting to get XTC to make a great record; and (c) Skylarking in general – only half of it of value? A letter Mark Fisher was good enough to publish in his excellent XTC fanzine Limelight the same year (1987) was much kinder, though I still had it in for Colin. I also suggested that ‘Dear God’ – the subject of the latest Backed with – ‘could well be my favourite XTC song… mmm… ever!’ and that it should have been on the LP instead of ‘Earn enough for us’, contradicting what I wrote in my own fanzine about that song. Teenagers, eh? Graphically a good idea inexpertly executed. I would get better at this kind of textual shaping later on. The Brilliant Corners have not loomed large in my life since those times – whereas hip-hop has. This excellent piece of (self-)analysis over at Unpopular rather neatly kicks off with a reference to XTC and then moves on to my other subject here: fanzines of the 1980s. My fanzines, too, were ‘written out of some desperate need to communicate and make connections’, and Alistair was, of course, one of those with whom I connected.